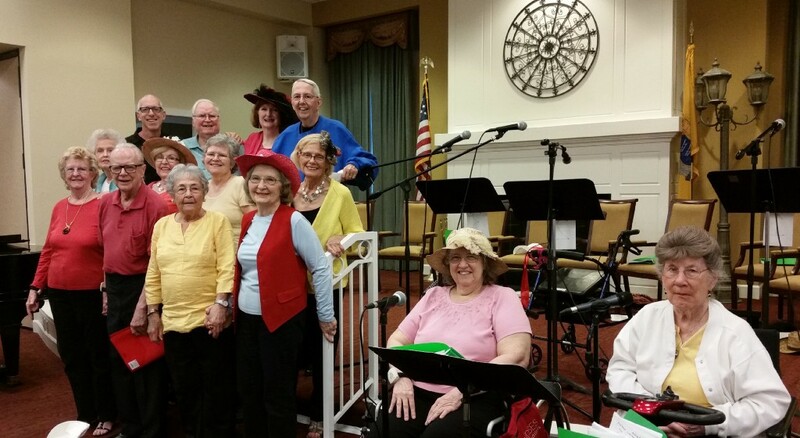 The Evergreens Acting Studio, featuring 13 residents from The Evergreens continuing care retirement community in Moorestown, recently presented their second production entitled “Broadway Memories — A Musical Revue.” The production featured a variety of favorite musical hits from the 20th century, including songs fromCarousel, South Pacific and My Fair Lady, among others. The Evergreens Acting Studio is a class offered at the community by Philly Senior Stage. Since the class debuted last spring, it has attracted an enthusiastic group of dedicated residents from within the community. Over the past few months, resident participants have demonstrated various acting techniques and reviewed different types of productions under the direction of Robb Hutter, Artistic Director of Philly Senior Stage.